Ok, this book has been out for more than two years already but that’s one of the finest things with History books; they never become out of date. Sure, the more recent part of history can be missing but they’re still often well worth the effort reading anyway. Anyone at least slightly interested in Brutal music should immediately draw the connecting line between one of the best Metal albums ever released and the title of this book. 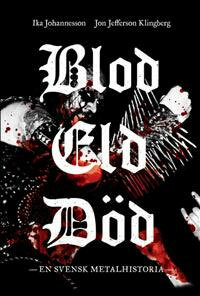 Sure, it is taken from BATHORY’s epic “Blood Fire Death” album, which can seem cheap but the book deserves the title.